Detailed, attentive and contemporary, this one-starred restaurant serves modern French cuisine with hints of Dutch inspiration. With culinary heritage from one of Europe’s most inspired chefs, dishes are sourced using the freshest ingredients and paired with hand-picked discerning French wines to deliver a wonderful, palate-pleasing gastronomic event. 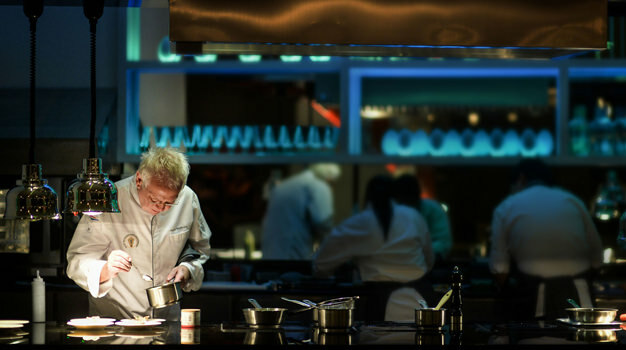 Founder and owner, Henk Savelberg boasts 25 years of experience, and is also the man behind Restaurant Savelberg, an internationally acclaimed restaurant in Holland, which has proudly been awarded one Michelin star annually, from 1997-2014. He is the only Dutch native to be awarded a Michelin star in his four different restaurants, and he has sustained an amazing culinary career through honing the finer points of food and drink.